For those of you who best know Winona Ryder for her recent turn on Stranger Things, we have some news for you. Winona Ryder is not just a super-talented actress, back in the day she also served as a major style icon. Winona helped put some of the biggest '90s trends on the map. Now that all things '90s are back again, there's no better time to look to the cool ensembles Winona pioneered the first time around. Choker necklaces? Been there done that. The same can be said for a few more of autumn 2016's major trends like velvet, slip dresses, and denim skirts. So ready to see how the OG made '90s style look super cool? Take a look back at a few of Winona's most iconic style moments, then shop similar pieces to wear now. Long before Monica Rose put band tees on Kendall and Gigi, Winona was putting her own edgy spin on the concert tee. While Winona tended towards edgier pieces, she knew exactly how to pull off a girly floral too. 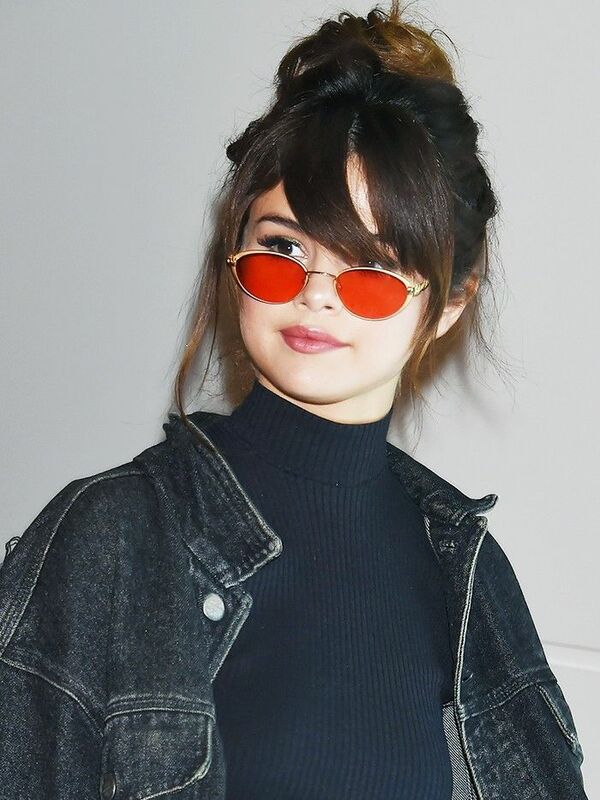 Did Selena Gomez Just Do the '90s Better Than Anyone Else, Ever? Mum jeans are a major of-the-moment denim trend, but Winona’s been nailing the high-waisted style since way back when. Before the naked dress, Winona was pioneering her own take on slinky, sparkly dresses. Whether you prefer to tie a bandana around your neck or turn it into a cool headband, we’re behind Winona’s accessory of choice. It’s hard to think of a piece more iconic than a sleek, classic black leather jacket. Channel the ’90s style star by pairing it with head-to-toe black. You can expect to see velvet just about everywhere this autumn, but never forget that Winona aced the look back in the day. While a blazer is a timeless wardrobe staple, Winona gave it a cool-girl twist by adding a T-shirt and—oh yeah—some seriously cool luggage. Want more throwback style inspiration? Take a look at all the '90s Kate Moss outfits that still work today.